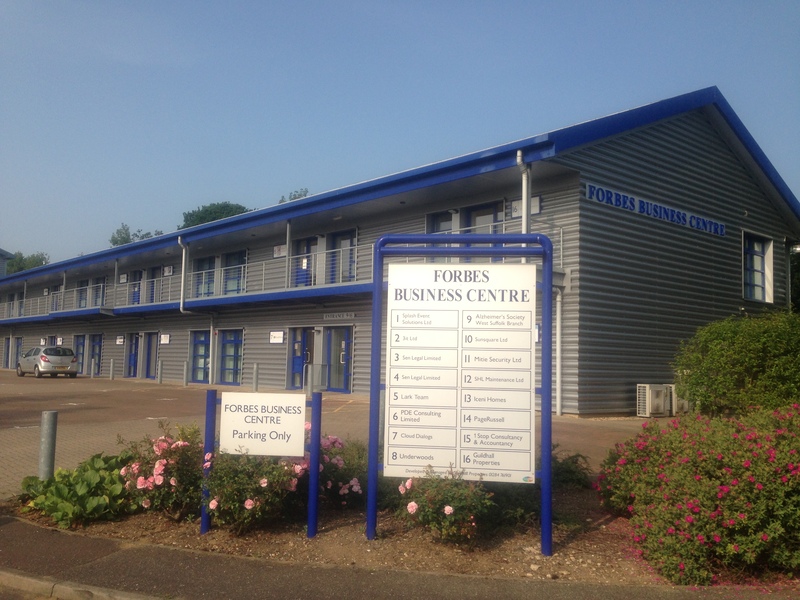 A new purpose built modern office block of up to 16 self-contained offices on two levels approximately 750 or 1500 sq ft each with flexible Easy Let Leases. Built to a high specification, fully air conditioned and each with their own facilities. The first floor offices all have balconies and can be reached by either an external or internal staircase/lift. A private communal car park is situated at the front of the building surrounded by landscaped areas. Situated on the eastern side of Bury St Edmunds in an expanding commercial area with a wide variety of businesses it is easily accessible from the A14 with good road links to all parts of the country.